I come from a long line of hair obsessed women. Always trying new styles, shades and state of curl in the name of perfect hair. And much to my husband’s frustration, the obsession causes me to purchase way too many hair products (I’m like a hair bartender mixing up my own product cocktails!). So, when my daughter’s hair finally grew long enough to use cute bows and clips I was ecstatic. And of course, I’m always in a constant search to find beautiful hair clips for her. Introducing Sally’s Clippies….. Mom Sarah Ames turned her love of accessorizing her daughter Sally into a thriving little hair clip business. 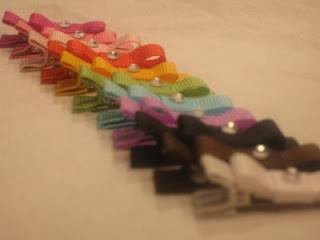 Sally’s Clippies are unique hair clips and headbands for babies and girls of all ages. 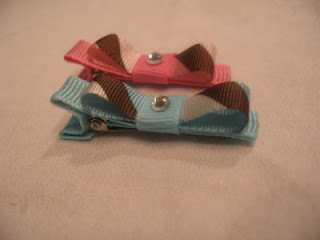 The clippies can also easily clip to any size of Sally’s headband to change up the style. 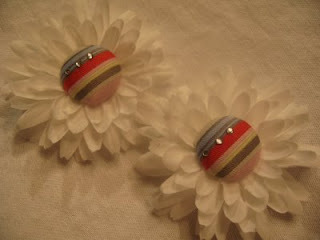 All of these hair accessories are handmade and are sure to complete those summer outfits. Prices are really reasonable with most clips ranging from about $3 to $6 dollars and there is a discount when ordering more then one. Email your order to [email protected] and mention Project Nursery to receive 15% off your total order. Shipping is only $5 no matter how much you buy and you can pay through PayPal. So easy and what fun to support another cool mom. 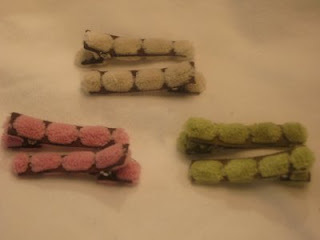 Beginning today through Sunday 7/6, Sally’s Clippies is offering a Felt Giveaway! 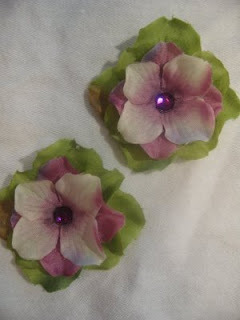 Post a comment on their site and enter to win your choice of two felt flower clippies and headband to match! Thanks Sarah for sharing your adorable clippies with us and keep us posted on any new styles. Giveaway: Speak Nicely to Win! Wall Candy for Your Munchkins! I love how thick the headbands are! My favorites are: Bubble Gum , Pina Colada, and the cream head band. These clippies and headbands are so unique and posh! This is the only website that I’ve found some hair accessories that I like. I will right away seize your rss as I can’t find your e-mail subscription hyperlink or e-newsletter service. Do you have any? Kindly permit me understand so that I may subscribe. Thanks.